International projects are all about experiencing new things! At FU International Academy, we take care of your leisure time as well, organizing interesting activities every day for all participants. 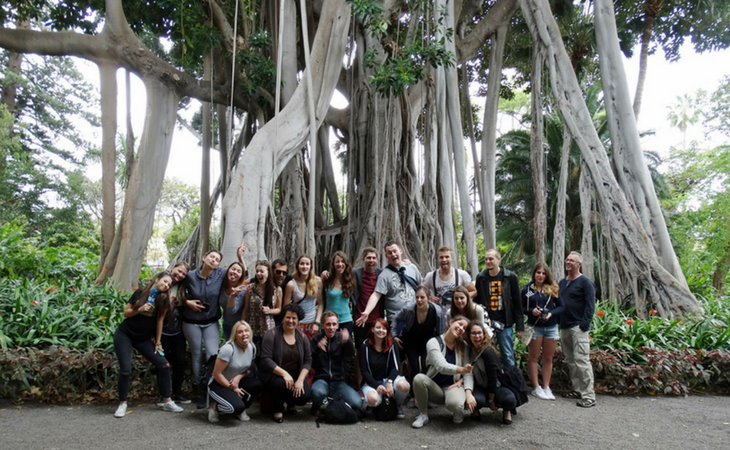 You can practice your Spanish, get to know other students and have a glimpse into Canarian culture. 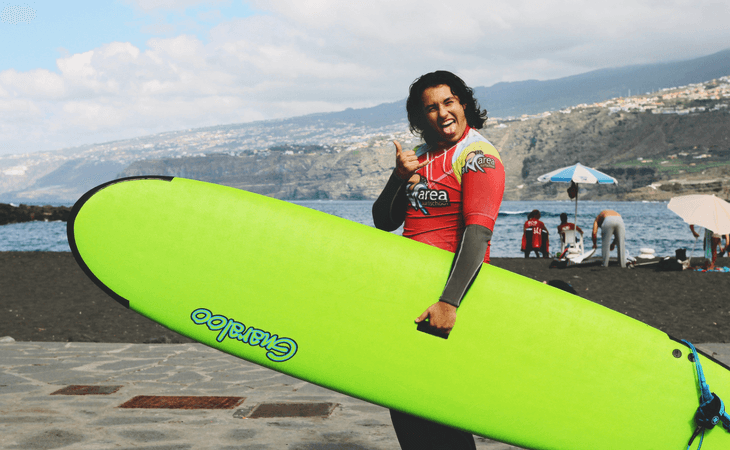 Do you want to try surfing? Get to know the basic steps of salsa? Visit Spain’s highest point? Or have fun in the world famous Siam Park? We can organize it for you! Loro Parque is the world-famous animal adventure park located on the outskirts of Puerto de la Cruz. The Park is known as a Paradise of Parrots which you can view and enjoy as you walk around. But Loro Parque is also famous for a wide selection of endangered species from around the world. Sea Lion shows, Dolphinarium and Penguin Planet are only some of the attractions that you can admire at the colorful garden. You also shouldn’t miss the Katandra Treetops, which is the newest experience of Loro Parque bringing you to a world with the most amazing species of birds. You will be shocked by loris, cockatoos, kookaburras and emus in their wonderful jungle setting. Paired with the Siam Park adventure, the prices are even lower. Siam Park beats many records! Not only is it the most spectacular water attraction in Europe, but its 25 buildings are the largest collection of Thai-themed buildings outside of Asia. Not to mention, they have the biggest artificial waves in the world! There is something for everyone at Siam Park, with a diverse selection of waterslides and thematic lands to keep you busy all day long. If you get exhausted by the challenging rides and water attractions, you can take a break by visiting the Floating Market, experiencing Thai cuisine or relaxing at a Siam Beach. 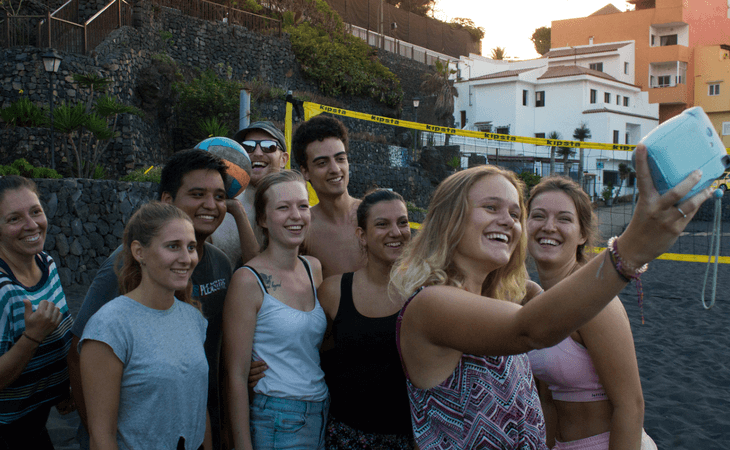 The excursion begins with a visit to the historic town of La Orotava to see fine examples of typical Canarian architecture: the Plaza del Ayuntamiento (Town Hall Square), the church, La Concepción, and the 17th century Casa de los Balcones. From there, we climb up the picturesque tree-lined Aguamansa road to the Teide, passing the Margarita de Piedra, a volcanic stone formation which looks like a flower. Once in the Teide National Park, we visit the Portillo de la Villa and Montaña Blanca, which is situated at 2,373 meters high. There are some fascinating rock formations here: La Piedra Pómez, La Ruleta and the Roques de García, with a beautiful view across the Llano Ucana. For lunch, we will either stop at a restaurant or have a picnic (optional). The return trip takes a different route via Izaña, passing the view of the Diablillo, La Tarta, Fuentes del Joco, and Ortuño down to the village of La Esperanza, From there, we join the motorway at La Laguna returning to Puerto de La Cruz at around 5.00 p.m. (The route may vary depending on the weather). We drive up to a height of 600 meters to the hidden village of Masca. From there, we hike through the gorge with its impressive, steep face that reaches down to 400 meters high. Those stone walls give us an idea of the different geological epochs that formed the isle. When we reach the beach, we will take the boat to see the majestic steep coast of Los Gigantes. Price includes: Transport in a small coach, a guide for the hike, snacks, water, boat ride (depending on the excursion). Necessary hiking equipment: Hiking bag, flashlight, ashplant or rubber boots, food and drinks. From the port of Los Cristianos, it is just a one-hour ferry ride to San Sebastián, the capital of La Gomera. Once we arrive, we will travel by car and climb up to the Garajonay National Park (the laurisilva wood), going vía La Degollada Peraza, a lookout point with a fantastic panoramic view. From the small village of La Palmita we’ll go through the Teide National Park to the towns of Las Rosas and Angula. There we will have lunch and hear a demonstration of the typical Silbo Gomero, the whistling language of the Guanches, the natives of the Canaries. If there is time, we will visit the tourist center Juego de Bolas. On our way back, we will cross the Hermigua Valley and San Sebastián, where there will be some free time to visit the Torre del Conde and the Casa de Colón (Christopher Columbus’ house). VISIT OF THE BOTANIC GARDEN: Discover the fantastic range of exotic plants that grow here thanks to the subtropical climate. FLAMENCO LESSONS: A professional flamenco teacher will show you the basic steps. Don’t be shy and don’t worry if you’re new to dancing – we guarantee a good time! 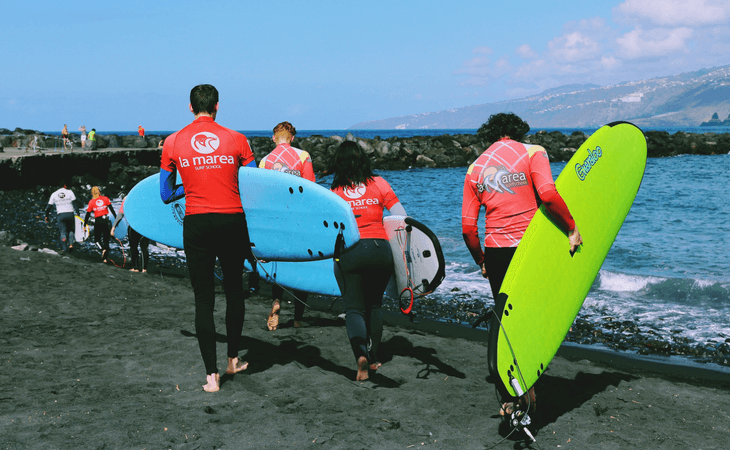 TRIAL SURFING LESSONS: A professional surfer teaches you the basics of this popular Tenerife sport. All you need is a towel and your bathing suit. SALSA LESSONS: Learn the basic steps of this popular dance so you can impress your friends back home, and have a lot of fun! SPANISH CULTURE: Every Thursday we meet in our library to talk about different aspects of Spanish culture. Grab a coffee and have a chat with us! 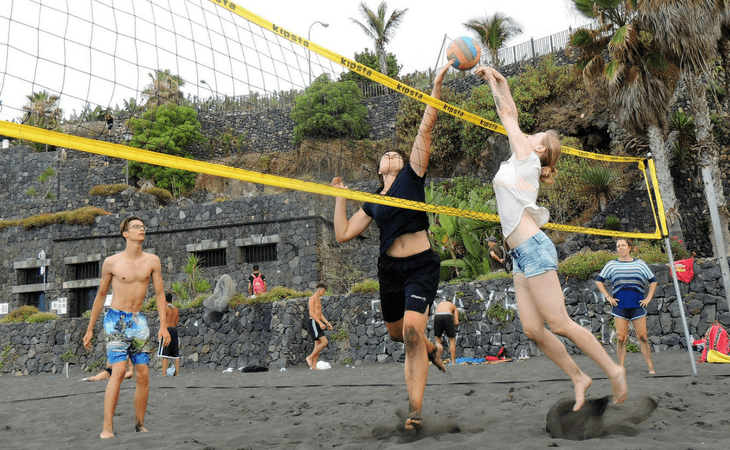 BEACH-VOLLEYBALL: Come and play on the lovely Playa Jardín – beginners welcome! Bring your swimsuit as well for a dip in the ocean afterward! Do You Want to Apply For a Project? Check Out Our Project Offers or contact us! ? Enter the digital world by learning the best practices in Online Marketing including SEO, Social Media advertisements, Content Creation and more. Enhance your professional development with Erasmus+ as you improve your Spanish and Digital Marketing skills. Gain confidence in your coaching abilities as you explore sporting and personal development initiatives while working in schools and clubs. Work in popular spas and salons throughout Tenerife, managing day-to-day responsibilities while learning new treatments. Work hands-on with local clients and trainers as you complete different tasks in relation to hotel and restaurant management. Can’t find what you’re looking for? Our tailor-made projects are specifically designed to give you everything you need to thrive in your chosen sector. We hosted 11 students from Turkey for a two-week training programme at our school in terms of the Erasmus+ Mobility Project. ... and receive our new brochure plus regular updates on our training programs and internships in Tenerife.